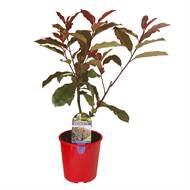 A hardy evergreen shrub with new foliage that opens a deep red and remains that way for a long period before turning dark green. Tight heads of white flowers appear in spring time. 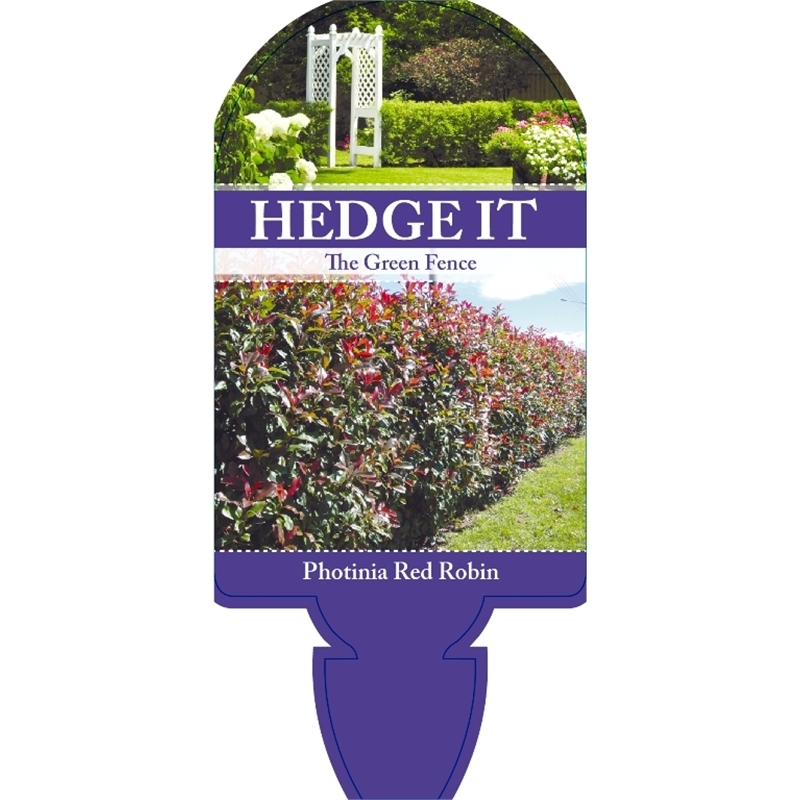 This hardy shrub is ideal for hedging, screening and general garden planting. 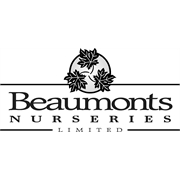 Perfers an open, sunny position in moist, well drained soil but will tolerate a range of conditions. Keep trimmed to keep bushy and height. 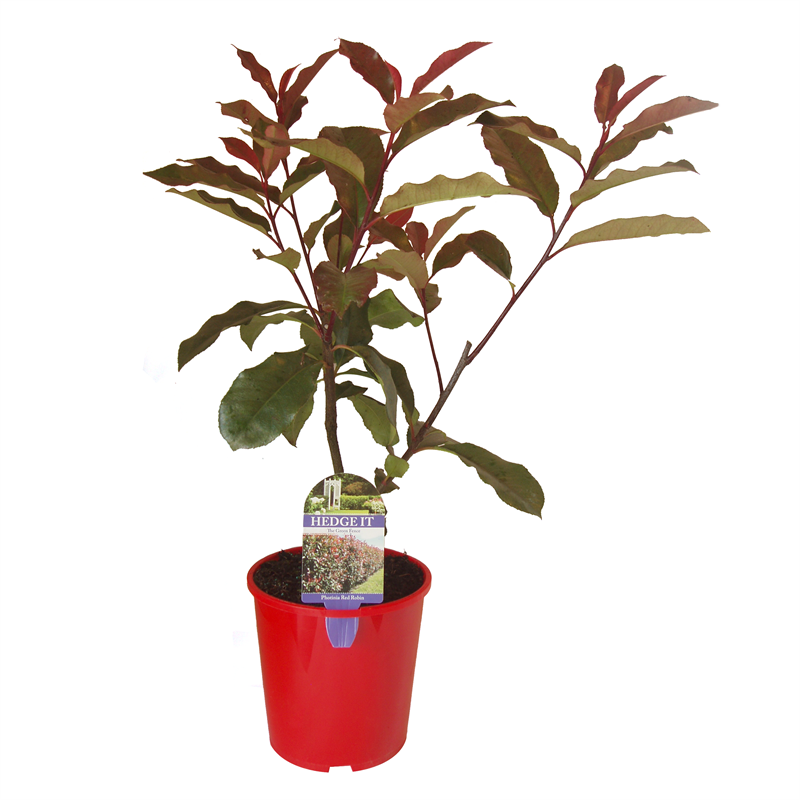 Plant 3 per metre.